It happens to all of us. I had peppers and eggs that were nearing expiration and needed to do something fast. Luckily, this experiment turned out to be both healthy and delicious! It’s also freezable, making my soon-to-go-bad food last even longer! Check out this easy way to prepare breakfast in advance! Saute green peppers in olive oil over medium heat until cooked through, 10-15 minutes. While the peppers are cooking, whisk together eggs and milk until frothy. 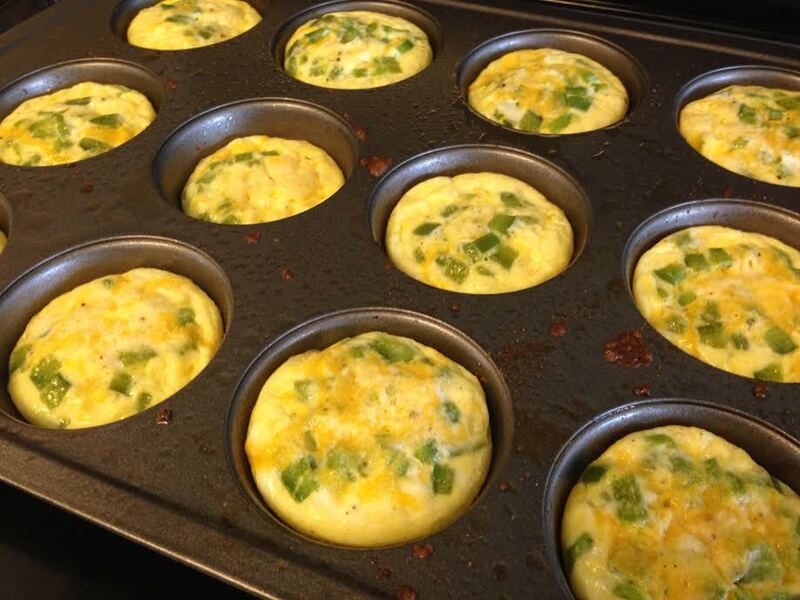 Add approximately 1/2 – 1TB of peppers to the bottom of each muffin tin. Pour 1/4-1/3 cup of egg mixture into each muffin tin. Sprinkle 1/2 TB of cheese into each tin, on top of the eggs. Sprinkle desired amount of onion powder over each tin. Bake in oven for 12-15 minutes, or until cooked through. Enjoy immediately or, let cool, separate with wax paper and freeze!